Our Advisory Board is comprised of international business leaders and entrepreneurs, each of whom brings a unique perspective to our clients and the operations of the company. Mr. Paoni was a faculty member of Northwestern University’s Kellogg School of Management from 1996 to 2013. Professor Paoni taught graduate classes in Kellogg’s Full-Time Program, Part Time Program, Executive MBA Program and the International Executive MBA Program. He also managed the Kellogg Technology Speaker Series and co-author of two books entitled “Kellogg on Technology” and “TechVenture”. He is a former Partner and Vice Chairman of Diamond Technology and Management Consultants, Inc. (now part of PwC), and also served as the President of two wholly-owned U.S. subsidiaries of Ricardo Consulting, a U.K.-based international engineering consulting firm focused on computer based automotive powertrain design. Before 1996, Mr. Paoni spent 28 years in the information technology industry, most recently as the Chief Executive Officer of Eolas Inc. He also served as Chief Operating Officer of Cross Access and as a member of the executive leadership team of several privately owned software development companies. 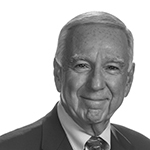 Professor Paoni served as a Strategic Advisor to the US Navy for the CVX nuclear carrier project, and he was appointed as Technology Advisor to Freddie Mac; in addition, he was Chairman of the Advisory Board Elite Labor Services. Mr. Paoni has served on the Board of Directors of the following publicly traded companies: US Freightways (NASDAQ: USFC), a $2.5B transportation and logistics corporation; CompuCom (NASDAQ: CMPC), a $2.9B technology hardware and services company and Telkonet (NASDAQ: TKOI), a venture capital-funded energy management company. Chris brings more than 25 years of experience in consumer goods with expertise in organizational development, change management, technology implementation, sales, and operations planning and trade promotions management. Chris has engaged in developing organizational capability, efficiency, and effectiveness. He has developed and implemented programs that improved productivity and resulted in improved financial performance. he has led several leading companies through effective and affordable transformation with a focus on improved customer satisfaction and profitability. He has managed a multimillion-dollar project transforming a customer service organization and implementing the SAP order to cash process. 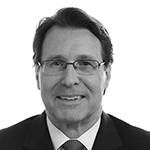 Doug spent the first 20 years of his career with Ernst and Young, the last 9 as a partner in the Chicago office. 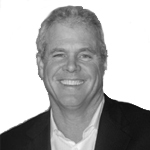 Doug has extensive experience with both public and private companies. He has IPO experience as CFO/COO of Platinum Entertainment Inc., a NASDAQ listed music company he helped take public in 1996. He has significant turn-around experience having been the CFO of several public and private companies, including ANC Rental Corporation the former $2.5 billion parent of Alamo and National Car Rental Companies. He also served as the CFO of EaglePicher, a $900 million diversified manufacturing company, and as CFO of Remy International, a $1.3 Billion automotive supplier during their respective restructurings. Doug has significant M&A, fund raising and SEC reporting and compliance experience. Doug is currently CFO and COO of King-Devick Test, in Association with Mayo Clinic, a concussion sideline test which is also effective in reading remediation and other quality of life applications. he is also a director and head of audit committees of Sirva, Inc., the parent of Allied and NorthAmerican Van Lines and R.J. O’Brien and Associates, the oldest and largest independent futures brokerage and clearing firm in the U.S. Doug also serves as President of Freeport Securities Company, a family-owned oil and gas company and is a co-owner of Englewood Construction Company, a national retail builder. Mr. Clark is an experienced business builder and senior operational executive. He has deep expertise in the areas of operational leadership, sales leadership and M&A. Over his 20 year executive career he has led and mobilized teams in hyper competitive corporate and entrepreneurial cultures. Additionally, he has built businesses organically from zero to $300M per year in large matrixed corporate environments such as RR Donnelley; where he held the position of Corporate Vice President reporting to the COO. Mr. Clark has also been the Senior Vice President and Corporate Strategy head for Hoshizaki America. 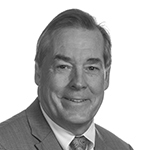 Currently Mr. Clark is Chairman and CEO of CEG, LLC a lower middle market private equity firm. Hoshizaki America is a global food service equipment manufacturer with $3B in revenue. Mr. Clark led and executed a corporate wide strategy focused on future growth, employee development and cultural transformation. He was a key executive that led the company to record sales and profits in 2015. CEG, LLC is a private equity investment and M&A holding company. With CEG, Mr. Clark leads all capital raises, capital structure and deal sourcing. Recently Mr. Clark sourced, led and closed a complex transaction with an enterprise value of $300M in the industrial manufacturing space. Mr. Clark plays an integral role in recruiting executive talent for his holding companies, such as the COO, head of sales, CFO and CEO. Mr. Clark sits on several for profit and not for profit boards including Boys and Girls Club of Chicago, IIT Stuart School of Business and SG360. He has an MBA in Finance and Marketing from IIT; and a BS in Economics from Northern Illinois University. Mr. Clark resides in Chicago. Ms. Allen leads global marketing efforts for the Hertz, Dollar, Thrifty and Firefly brands. She has more than 30 years of consumer experience in various leadership roles at The Procter & Gamble Company. Most recently, Ms. Allen served as vice president and general manager, North America Hair Care at Procter & Gamble, where she managed a cross-functional team responsible for developing portfolio strategy across six brands. Prior to that, Jodi spent eight years in Baby Care and General Management and 19 years in various other key positions at Procter & Gamble. Mr. Boushka was Global Lead within Accenture’s Hospitality Practice. 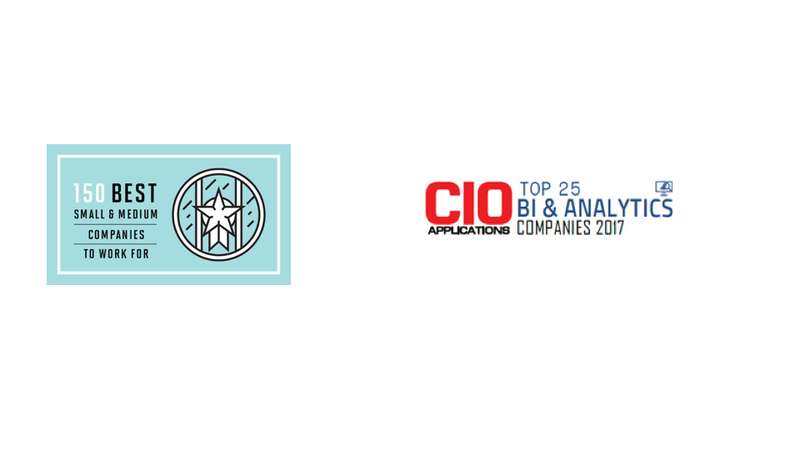 With 25+ years of experience, helping several Fortune 500 clients undergo substantial change programs that delivered significant value. 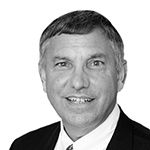 Mike has worked primarily with clients in the Hospitality and Freight & Logistics industries. He has assisted clients with complex change programs that involve information systems and overall business effectiveness. Rick is the Chairman and CEO of Microsonic Solutions, a science and technology company. he is also the Founder and Managing Partner of Cetan Partners, a boutique advisory and investment firm working with C-level executives in helping them grown and optimize their businesses. Rock has over 30 years of experience in the health care industry. He has excelled at turning around underperforming businesses with a combination of diverse skills in finance, accounting, M&A, sales and marketing. Rock is a licensed CPA working for Price Waterhouse Coopers at the beginning of his career. Rock held numerous positions during his 26 year career at Abbott running diagnostic, pharmaceutical, hospital, nutritional, and CPG businesses with annual revenue of up to $1.4B. After Abbott, Rock joined Stericycle where he was EVP of M&A in which he implemented a roll-up strategy acquiring 29 medical waste companies. Rock also has extensive experience with private companies as CEO of Sure Gene, a biotech company focused on personalized medicine for mental health, VP of BD at AdvanTech Plastics a developer of innovative plastic closures for beverage and healthcare industries, Owner/Franchisee of a School of Rock, the worldwide leader in performance-based rock and roll music education. our team of elite problem solvers?